Arguably one of the Devon’s finest unspoilt beaches! 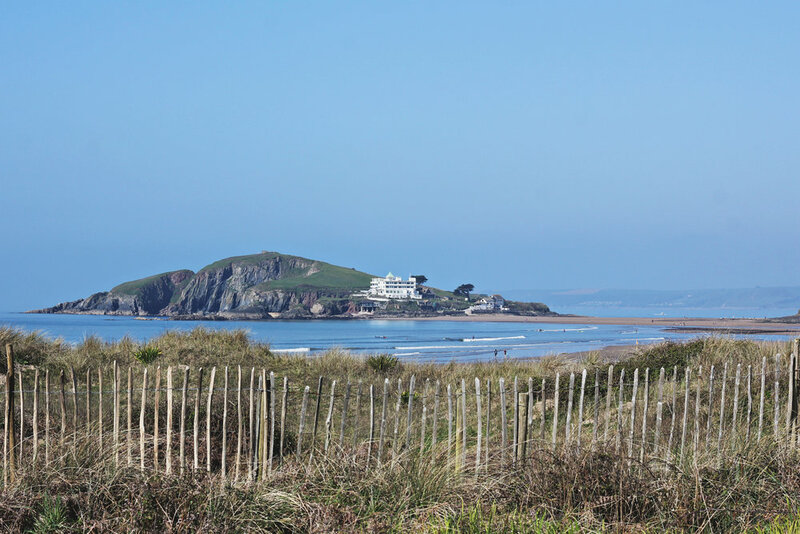 Set within an Area of Outstanding Natural Beauty with dunes and rocky cliffs providing shelter from the wind and panoramic views onto picturesque Burgh Island. At high tide a ring of pale and fine sand frames the sea, then at low tide it becomes a golden expanse, dotted with pockets of shallow water and fantastic rockpools for poking about in. A reputation as one of the best surf spots in Devon and to top it off a Gastrovan serving up culinary treats. Tiny Devonshire roads wind you down to the private beach at Bantham. It has the feel of being in the middle of nowhere, with just a toilet block, 2 H-vans and a surf school – no mod cons, and all the better for it. As you wander up over the top of the dunes the view hits you! The bay is simply stunning – it is huge, with Burgh Island ahead, the sea to the left and the estuary flowing in from the river Avon. At low tide the beach opens up to reveal endless shallow sandy pools warming up quickly in the sun to create ideal adventure ground for all the little people (and those of us not quite ready to venture into the open water). Out at sea the waves break long and low which make if very comforting to watch and it attracts a large range of surfers. The beach gently shelves so it would be good for swimming with little children when it warms up. I am a sucker for a H-van and was desperate to get something from one of the gastrovans. I was not disappointed - this is not your average burger van by any means! It is locally sourced gourmet burgers all the way, with good coffee and even the choice of a prosecco from the pretty pink van next door! The 700 year old thatched Sloop Inn up the hill from the beach looked very tempting too, but it was homeward bound unfortunately. 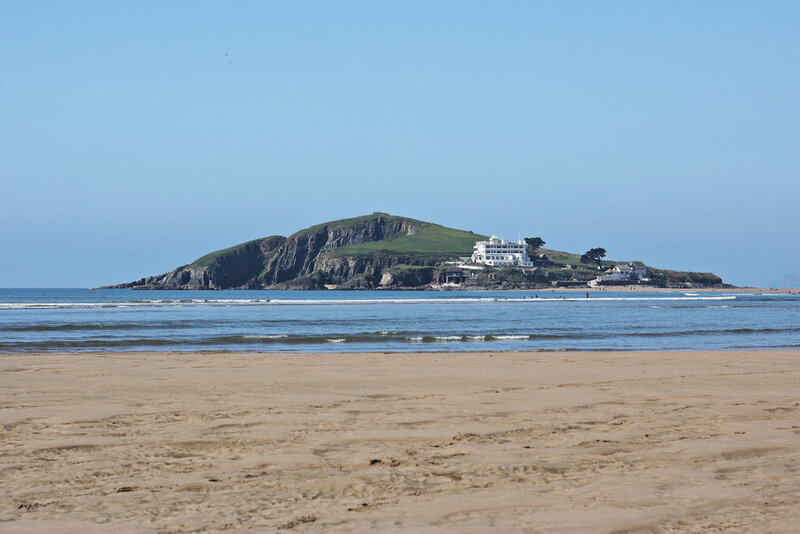 There is RNLI lifeguard cover on Bantham Beach from May to October - 10.00am to 6.00pm. Pretty as a picture all year round, the area bursts into life during the summer when crowds flock to the beach, but there is enough space here for everyone.